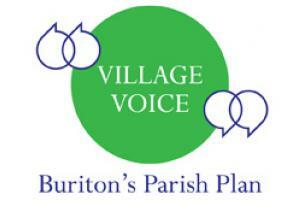 Buriton's Parish Plan, our "Village Voice"
The parish of Buriton is a great place! But there are some things that people would like to change - and others that we'd like to keep just as they are. Our Parish Plan is about both. It's a summary of everything that concerns people in the parish and how we'd like things to be in the future. The plan has been produced by the community, for the community. Whilst the plan was being produced, between 2005 and 2008, every part of the parish had a say: residents of all ages, local businesses and local organisations. Ideas were developed into a plan to help achieve what people want - including ideas for community facilities, the countryside, development and transport. And the plan is a 'living document' which is updated from time to time. Thanks to the efforts of many people in the community, including the Parish Council and other groups, lots of things that people wanted have now been achieved. Copies of the Parish Plan can also be seen in Buriton in the village pubs, in the church or by contacting Doug Jones (231326). There is also a copy in Petersfield Library.